LONDON – There’s a perfect family treat available at 400 cinemas across the UK and Ireland on Easter Monday with the first screenings of a film of York Theatre Royal’s acclaimed stage presentation of “The Railway Children”. 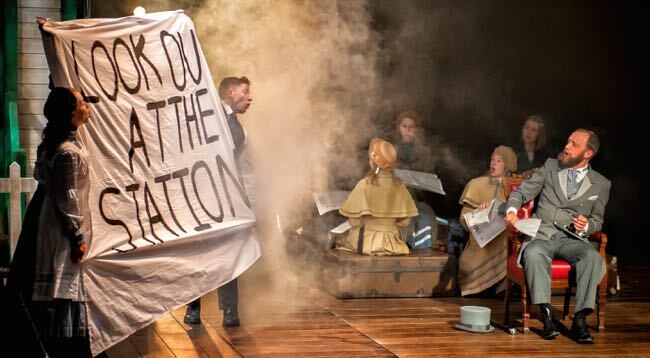 The production, which won the Olivier Award for best entertainment in 2011, is based on E. Nesbit’s 1906 novel and it features the original locomotive that was used in Lionel Jeffries’s much-loved 1970 film version. 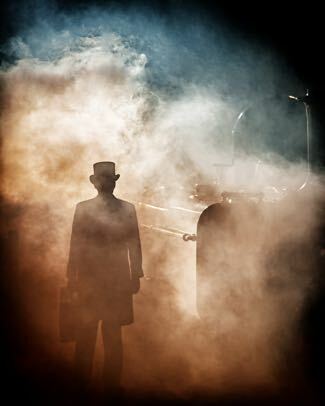 Adapted for the stage by Mike Kenny and Theatre Royal York artistic director Damian Cruden and directed by Cruden, the new film was shot with seven cameras at a purpose-built theatre at the National Railway Museum in York. The film was directed by Ross MacGibbon, who has had success with filmed stage shows such as Matthew Bourne’s “Swan Lake”, “The Importance of Being Earnest” with David Suchet and Shakespeare’s “Measure for Measure” at London’s Globe Theatre. “The Railway Children” tells what happens after a man is accused falsely of espionage and his suddenly penniless wife and three children are forced to leave London to live in rural Yorkshire near a railway line. The stage production features moving platforms, props and rail carts, and the film mixes high energy with the obvious sentiment and nostalgia. Produced by Anne Beresford (“Mouth to Mouth”) and Debbie Gray (“Northern Soul”), “The Railway Children” production received investment from Screen Yorkshire through the Yorkshire Content Fund and is distributed by Genesius Pictures working with Munro Films. This entry was posted in Film, Reviews, Theatre and tagged 'The Railway Children', Anne Beresford, Damian Cruden, Debbie Gray, E.Nesbit, Geneius Pictures, Mike Kenny, Munro Films, National Railway Museum, Ross MacGibbon, Screen Yorkshire, Theatre Royal York. Bookmark the permalink.